GCC defeated Burnside SHS 1-0. GCC lost to Good Shepherd LC 0-2. GCC lost to Meridan SHS 0-2. GCC defeated Caloundra SHS 2-0. GCC year 10 boys finished 4th overall. GCC year 10 girls finished 4th overall. 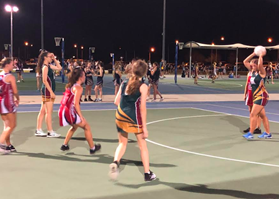 Junior Girls A defeated SC Grammar by forfeit. 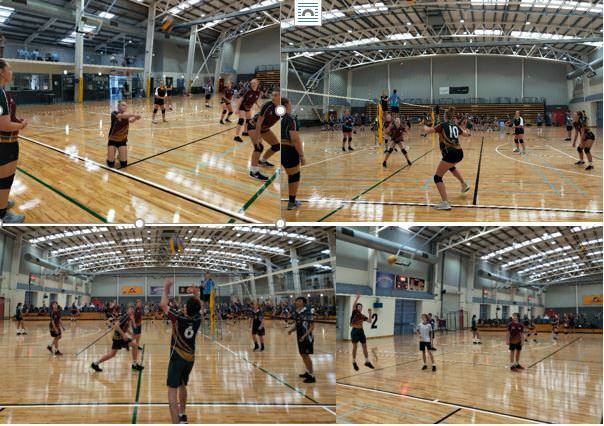 Junior Girls B1 lost to Matthew Flinders 0-1. Best Tiffany Dellaway. Junior Boys A defeated Good Shepherd 2-0. Best Arno Mens. Junior Boys B defeated Good Shepherd by forfeit. Intermediate Girls B defeated St Andrews 2-0. Best Olivia Ellis. Final standings at the end of the home and away rounds before finals. 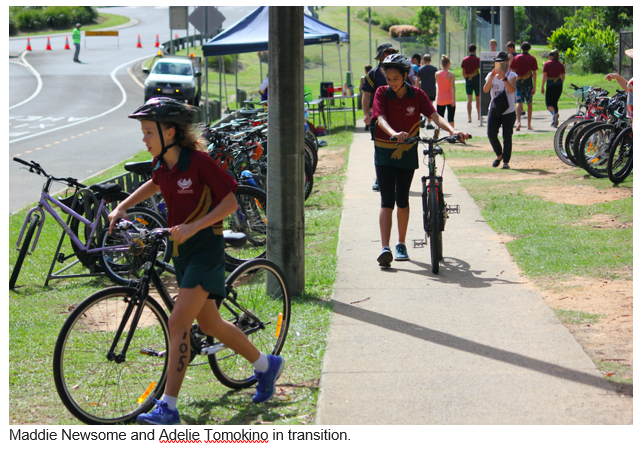 It was an amazing scene at Nambour Christian College in Week 10. 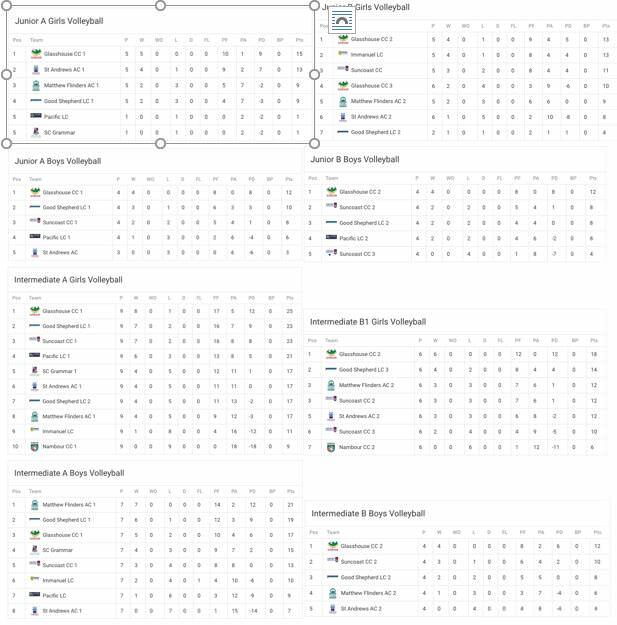 Incredibly GCC had seven teams playing off in Grand Finals over a possible eight divisions. There was a sea of maroon and green at the venue and this may have been intimidating for some of the opposition teams. It was a huge accomplishment for our teams to make it this far and very pleasing to see that overall we managed to win five out of the seven Grand Finals that we competed in. More importantly however our students enjoyed the competition and handled the Grand Final pressure very well. Congratulation to our coaches this term and thank you to all parents for your continued support. Junior Girls A; GCC defeated St Andrews AC 2-1. 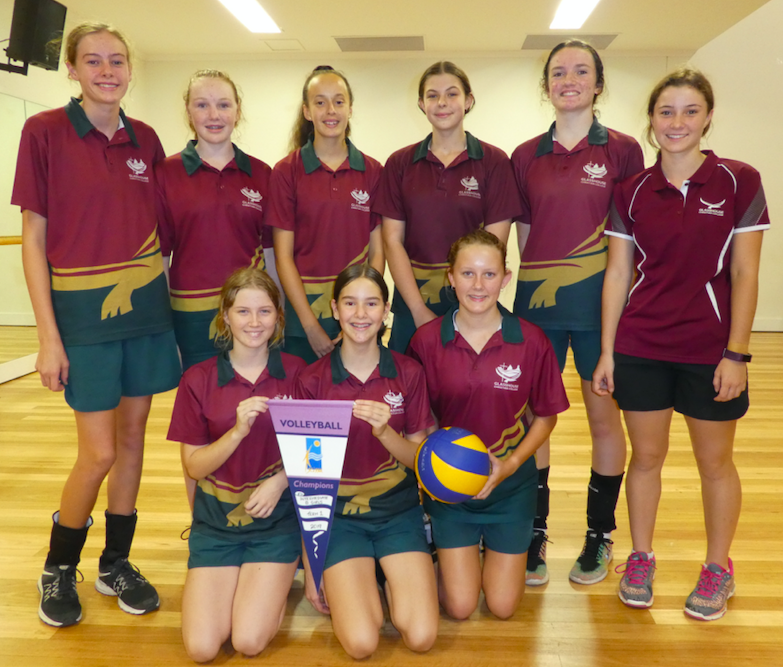 Junior Girls B; GCC lost to Immanuel LC 1-2. Junior Boys B; GCC lost to Suncoast 0-2. Intermediate Boys B; GCC defeated Suncoast 2-0. Intermediate Girls A; GCC defeated Suncoast 2-0. Intermediate Girls B; GCC defeated Good Shepherd LC 2-0. The Falcons played an incredible game this week but were unfortunately defeated by Sunshine Sharkettes with a result of 14-16. The Falcon’s defence was impeccable and they were able to get it from the defence end to the attack end quickly, yet the opposition was strong also. Amyliah Harrison came away with MVP of the match for consistently breaking free from her defence to be an option to pass to throughout the game. The Falcons won against SJC Junior C with the score being 27-2. The Falcons pulled together as a great team this week, demonstrating how everyone on the court is of great value to the game. The MVP of the match was Sophie Gilmour as she was always an option to pass to and played extremely well in every position she had a go at. GCC defeated St Andrews 23-12. 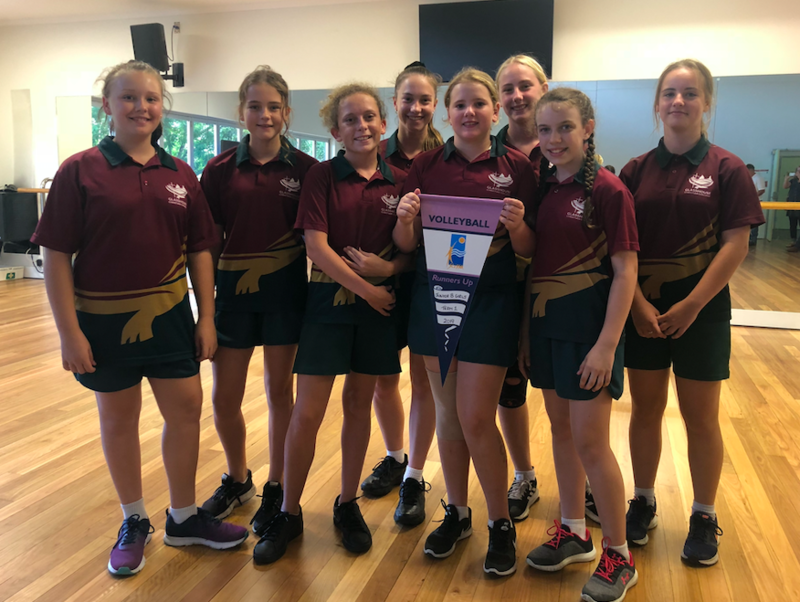 What is better than just winning netball? To be told by both the umpires and the other team’s coach, that all the girls in the Hawks were outstanding and beautiful people on court! Their sportsmanship on court is to be commended and is one of the key reasons for their amazing success. This week the Hawks beat St Andrews 23-12, with Chelsea Johnson being awarded MVP for being the most versatile player, playing everything, everywhere, so incredibly well! 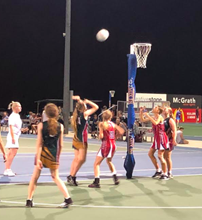 An intense netball game was had this week by the GCC Hawks against Meridan, with some heavy defence from the opponents. The Hawks managed to battle through and win the game 20-14, and maintain their winning streak! The MVP this week went Lilly Barker for putting in 100% effort for every opportunity. Awesome to watch Hawks! GCC lost to Sienna 15-17. Our Monday night game this week was tough! We played against the team sitting 2nd on the ladder and it was intense. We went down 37-7 but the girls fought right through until the end and never gave up! We are getting a well deserved break before we return for Term 2 rested and ready to go! Player of the match went to Grace McCartney, her efforts in defence and centre court were outstanding. 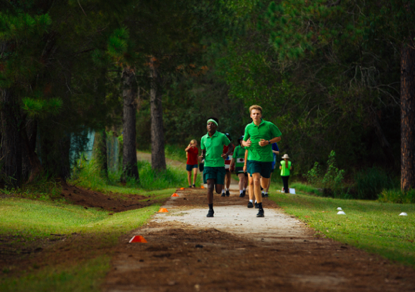 This year’s Secondary GCC Cross Country Carnival was fantastic event. 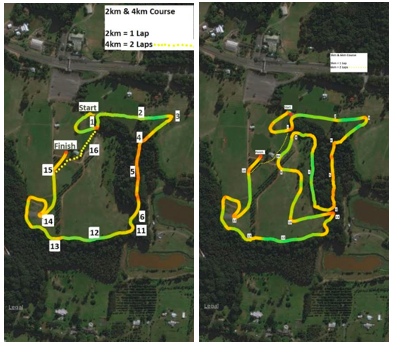 Races started from the Beerwah Sports Fields and continued through the surrounding bushland. The level of participation was very high and this ensured the success of the event. There were some tough running efforts displayed and some fast finishes. 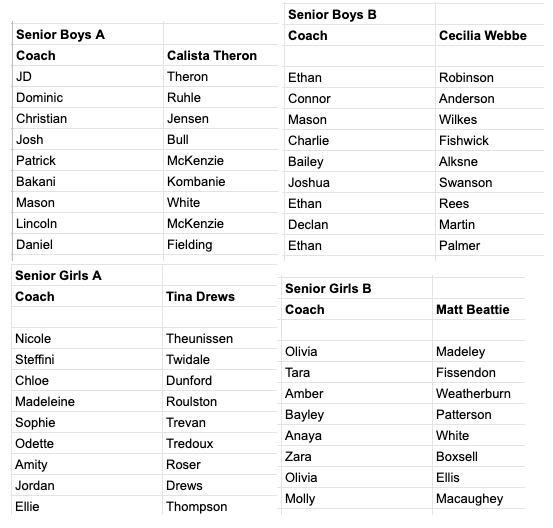 Amongst participants this year, we have a group of talented runners that through training and determination managed to achieve district selection. 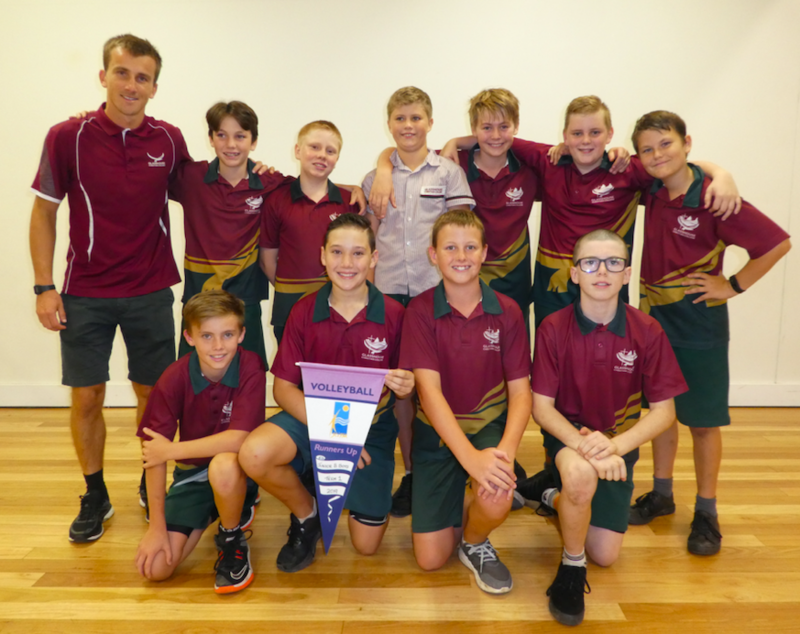 These runners will have the opportunity to compete at the District and Regional Cross Country competitions taking place in Term 2. Congratulations to Zion who this year managed to win the Secondary event and to Sinai who finished in front overall from Years 3 to 12. 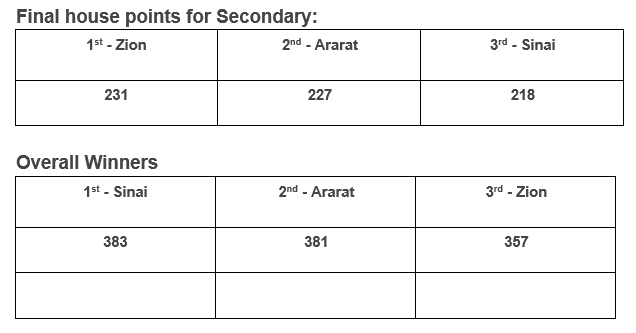 There were only two points separating Sinai and Ararat in first and second place. 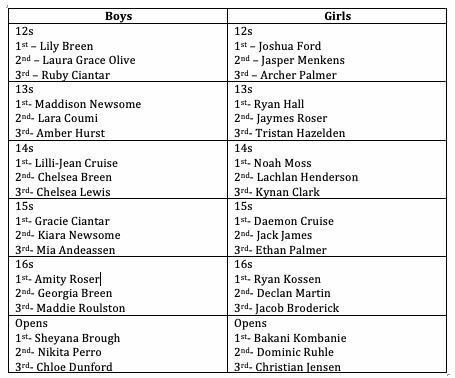 Well done to our placegetters. You can see all the photos here. 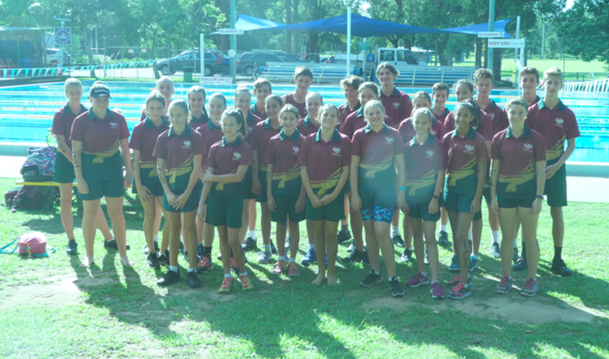 Tuesday Week 10, GCC triathletes gathered in front of the Beerwah pool for the Roberts Road Triathlon. This is a true community event, with the greater number of competitors from Beerwah SHS. Our students competed incredibly well and produced some outstanding results. These results were unavailable at the time of writing and so will be included in the next sports wrap. 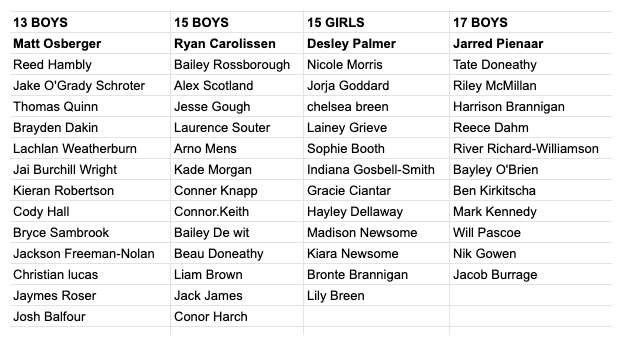 Carys Barbeler, Bronte Brannigan, Joshua Collins, Lilli-Jean Cruise, Dominique Doolan, Chloe Dunford, Brooke Gledhill, Rowan Gough, Lainey Grieve, Lachlan Henderson, Meg Jarvis, Ryan Kossen, Chelsea Lewis, Abby Mackie, Patrick Mackie, Madison Newsome, Charlie Robertson, Eleanor Robertson, Amelia Siddans, Adelie Tomokino, Sophie Trevan, Chloe Turnbull, Liam Hallink, Brianna Albrand, Lateisha Aldridge, Keira Hallink, Laura Coumi, Kynan Clark. Indiah Loveday, Jaymes Roser and Joshua Collins. 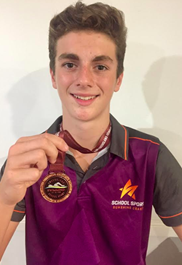 At the 2019 10-19 years QLD School Sport Swimming, Joshua Collins from Year 9 and Jaymes Roser from Year 8 were GCC’s state rep swimmers. Both won Bronze medals in their 200m free age relays. Joshua swam a great personal best time with a 25.65 sec split. He is looking forward to attending the Australian Age Championships in Adelaide over the Easter holidays. Daemon Cruise, Patrick McKenzie and Aiden McKellar. The SCISSA Rugby 7s competition will commence on Wednesday of Week 3 in Term 2 (8 May). 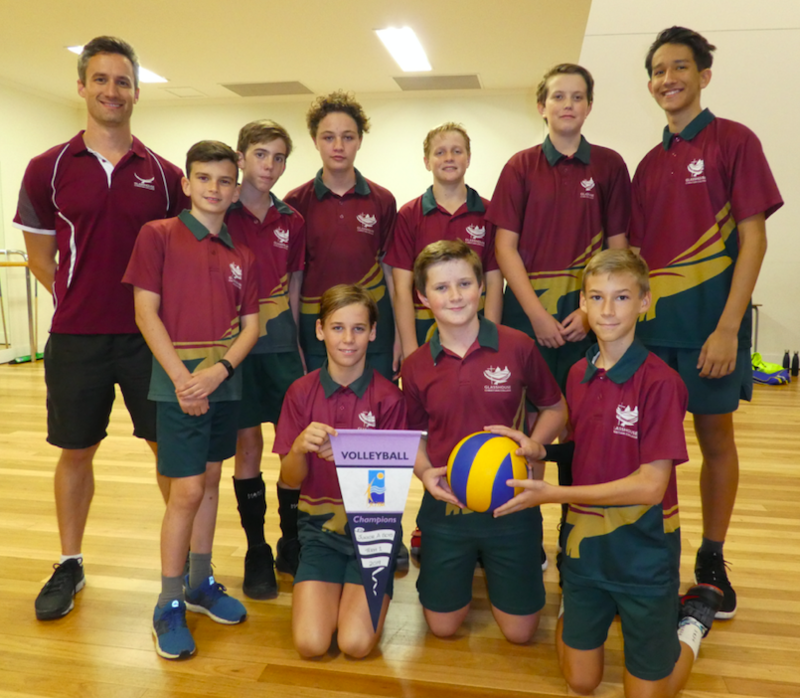 Training for the 13s and 15s will take place on Fridays during Middle School sport time. The open boys will train at a time to be negotiated between the coach and team. The team lists have been finalised and listed below. Please notify Mr Beattie via email if your name appears here and you no longer wish to play. The competition will run for four weeks and then conclude with a finals week on 5 June in Week 7. The SCISSA Senior Volleyball competition will commence at the beginning of Term 2. Training will take place at a time to be confirmed by your coach. Team lists have been finalised. Please notify Mr Beattie via email if your name appears below and you no longer wish to play. Grand Finals will be held in Week 9 on 19 June. 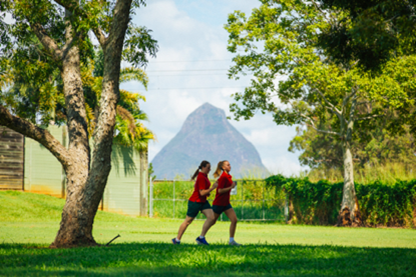 The District Cross Country event will be held at the Big Pineapple this year at Nambour on Tuesday 30 April. 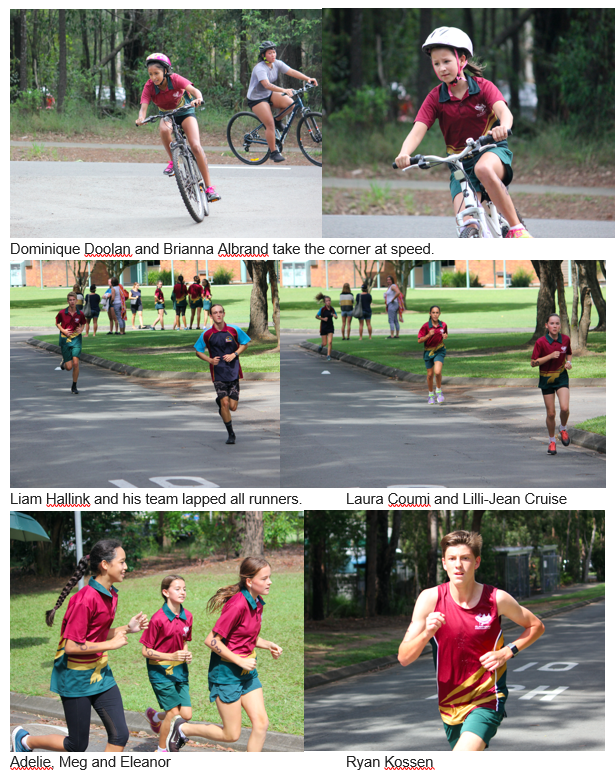 Just two days before GCC’s Athletics Carnival. Week 2 will certainly be a busy week for some of our students in Term 2. Times have been organised with the Big Pineapple for students wishing to practice the course. No times other than those organised below are permitted. Please park on the Big Pineapple side of the road. Sign out again when you leave please. Please ensure runners follow the rules and are respectful of the private property. There may be zoo vehicles going in to collect koala food so please be mindful of that. 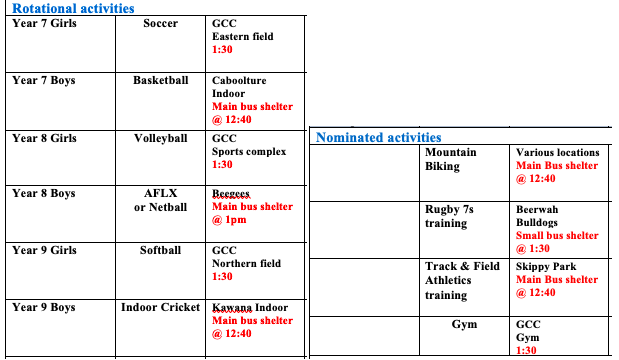 The GCC Athletics Carnival will be held on Thursday 2 May. This will be Week 2 of Term 2. It is not possible to fit all events into one day. 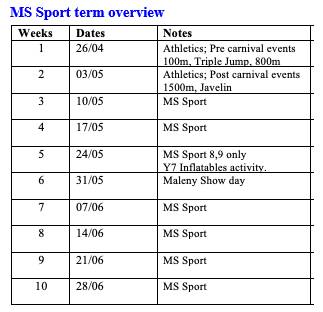 The 800m, 1500, Triple Jump and Javelin will be done either before or after the carnival and students have already been asked to nominate for these events. 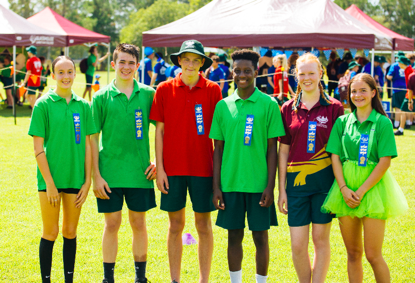 Many year groups have already completed a trial over the 100m distance and the fastest students will compete in the A division final on carnival day. 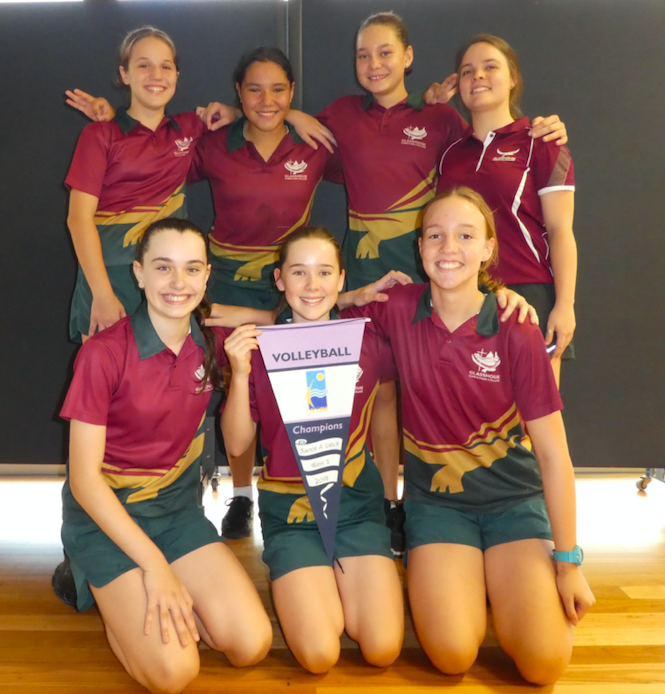 In Term 2 the Friday Middle school sport program will have a focus on traditional sports. There will be a continuation of activities within students year level groups and team training sessions. There will be less nominated activities on offer this term with the majority of students taking part in year level sports rotations. As per the table below Middle School students have the opportunity to nominate for Mountain Biking. This will cater for those students thinking of competing at this years nationals competition to be held on the Gold Coast. Track and Field Athletics training and Gym and Fitness are also offered as nominated activities. 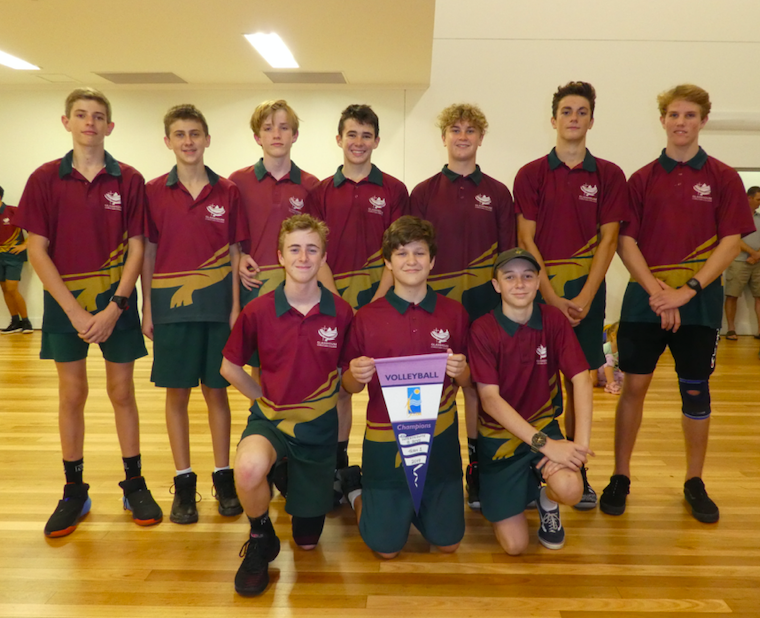 Students playing SCISSA Rugby 7s will have training during this time and all other students will experience a new sport each week within their year level groups as part of the rotational activities offered. If students would prefer to participate in Mountain Biking, Track and Field or Gym and Fitness they need to complete the nomination form emailed to them on Wednesday 3 April. Students that have not nominated will automatically be placed into the rotational activities. This entry was posted in Sport News on April 4, 2019 by sandy.